I have conducted sales and marketing program reviews with over 100 organizations in the past twenty four months as the CEO of FullFunnel, and have gathered tremendous perspective in the process. We begin all of our client engagements with some form of qualitative and quantitative analysis of their existing sales and marketing programs, as well as a deep dive into the hurdles and challenges that our partner organizations face. This level of analysis is an exceptionally valuable exercise, yet few organizations commit to it all, and even fewer do so on an annual basis. With all that company leadership has to do, I understand why taking a step back and being overly critical about your company’s sales and marketing program gets put on the back burner more often than not. Ignoring such an exercise, however, can be significantly detrimental to both the short and long-term viability of your organization. The foundation of every productive sales and marketing program is the infrastructure on which the program is built. This platform infrastructure, often called the “Tech Stack,” is typically comprised of a website (or CMS), CRM, and marketing automation platform, but can scale to include a variety of other platforms, such as analytics, testing and optimization, sales enablement, and more. First, the company must take a review of their website and its form and function. Is the content and messaging effective? Does it have appropriate load times on all devices? Are there clear conversion pathways established? Is the site producing leads? Is there a conversational marketing tool such as Drift or HubSpot Conversations? Can you easily update content, run A/B tests, and improve the site? Are the sales and marketing teams actively using the CRM? What is the pipeline’s integrity? Are deals maintained in real time? Are you using sales enablement tools like HubSpot Sales or Salesloft effectively? Is the current CRM reporting effective? Are you able to gain a macro-level understanding of the entire customer acquisition program within a dashboard? Does your CRM integrate with other vital business systems? Are your sales reps complaining about the CRM or do they find it to be a valuable tool? Are your contacts tagged in an effective way? Do you have lists segmented by persona or some other definition? Do you know who is and is not eligible to receive marketing communications? Can you identify how content should be adjusted based on engagement results? Do you know which of your channels are producing the most and highest quality leads? Are you using process and task automation to optimize team workflows? Are you using lead scoring to gauge lead quality and buyer readiness? Does your marketing activity sync seamlessly into your CRM? Are you utilizing automation to deliver targeted communication to contacts to nurture them through the funnel? Are you compensating your team at or above market rate? Does your commission program operate effectively and is the team earning commission? Are there any teammates who are not a cultural fit? Should they stay? Are there team members who are not hitting quota? Are they on a plan? Are the team members fully utilized? If so, are they utilized on the activities they are best suited for? Who are the team members who need to be mentored? 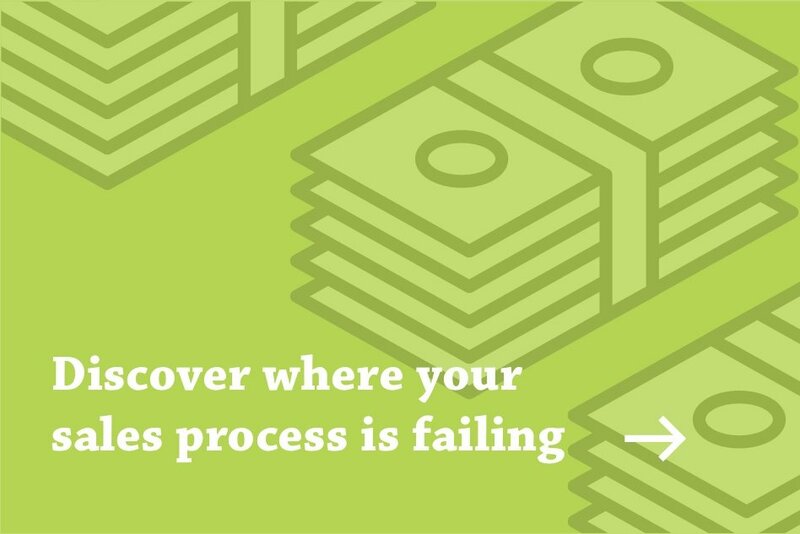 Does every sales asset follow the same process? Are your processes documented and do you train new team members on the documented processes? Is there a strong Service Level Agreement between marketing and sales? Do the marketing and sales teams use a common vocabulary? Is your web traffic growing? Do you have traffic goals by channel? Do you have clear lead generation goals and are you hitting them? Is your lead to marketing qualified lead (MQL) ratio at or above average? Do you have clear Cost Per Lead (CPL) and Cost Per MQL (CPMQL) targets? Are your landing pages converting at 2% or greater? Are your prospecting programs targeting the right audiences? Is your MQL to sales qualified lead (SQL) ratio at or above average? Do you have clear Cost Per SQL (CPSQL) targets? Is the staff generating an appropriate CPSQL? Are you converting SQLs to Opportunities at an appropriate rate? Are deals effectively moving through the funnel to close? Are you closing at a rate of 20% or better? Do you have an acceptable Customer Acquisition Cost (CAC)? In a utopian scenario, an organization’s sales and marketing programs would be constantly evolving and optimizing. Similar to how a pharmaceutical company invests heavily in research & development, marketing and sales teams should be constantly investing in R&D, testing, and experimenting to deliver the greatest return on deployed capital you can. Unfortunately, for many executives and owners, “fire fighting” other aspects of the business often begets sales and marketing focus, and this can cause customer acquisition programs to become stagnant, innovation to slow, and results suffer. If you think your sales and marketing program needs a thorough evaluation and course adjustment, please click below to request a consultation.